Long March rocket, propped up for last system test before launch. Probably on June 16 in the afternoon, China should launch a Long March rocket that will carry a Shenzhou 9 spacecraft to China's first space station Tiangong for a docking test. The spacecraft should have a crew of three astronauts, most probably a woman and two men. Two female astronauts because of having a perfect mastery of flight technology and very best psychological qualities, [and after] having undergone a [most challenging] selection, [are being considered as] able and calm to become the first female astronaut crew [in a flight mission]. 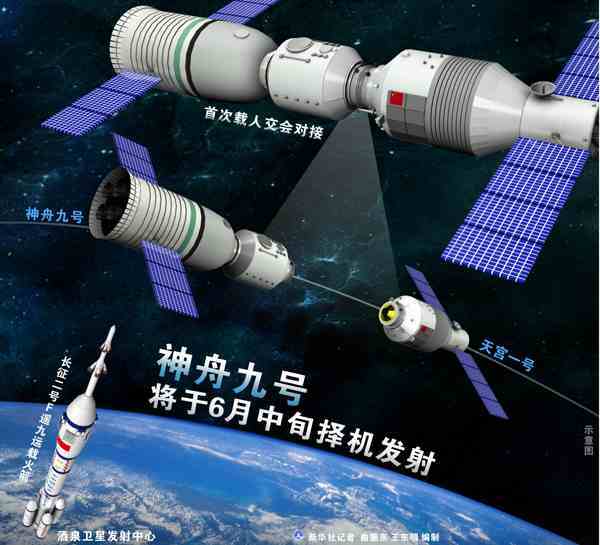 The only two female astronauts who are fitting the selection scheme for the Shenzhou 9 mission. Both are born in 1978, Liu Yang (left) in Henan province, Wang Ya Ping (right) in Shandong province. Egypt Voted for Morsy !? Syria - Third Party Identified ?